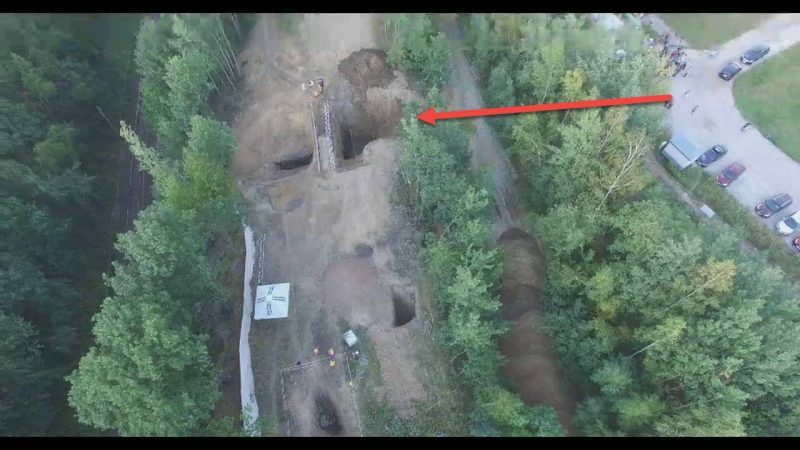 Drone Video Shows Tunnel Entrance to 'Nazi Gold Train' - Gold Train Dig Day 3 Update! Drone Video Shows Tunnel Entrance to ‘Nazi Gold Train’ – Gold Train Dig Day 3 Update! This drone video takes us above the location where a team of Polish treasure hunters has started to dig for the legendary Nazi Gold Train, near Walbrzych, Poland. Legend has it that the Nazis buried a train packed with gold and looted treasure at the end of the Second World War. The train is supposed to have been driven into an underground tunnel, and the tunnel had then been sealed. Though doubts have remained about the truth of this story, a dedicated team of researchers has been hard at work trying to locate the tunnels. This week, after a long search, they have begun to dig, and the Military History community around the world is watching developments with great excitement. The local community is also watching expectantly; if the train is found, the small town of Walbrzych will expect to receive a much-needed boost to the local economy. At the beginning of the week, the treasure hunting team reported that they had found “very heavy rock” around five meters down. They reason that the tunnel might lie underneath this layer. The team was to break through the rock with a special drill on Thursday, but this was called off, and the team started to dig down at different locations in the embankment. During Thursday’s dig fragments of steel and porcelain were uncovered. According to local media, these fragments are not native to the area. 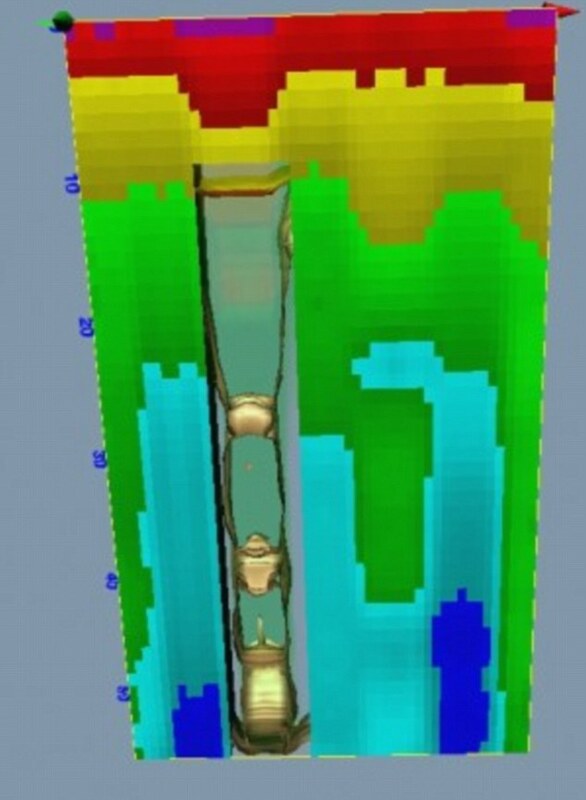 Andreas Richter, who announced the discovery of the ‘gold train’ in August of 2015 and has now organized the dig, told journalists that while the excavations will continue on Friday, they should have a better idea of what is or isn’t present under the embankment on Saturday. A 150-meter-long train from Germany disappeared in 1945 on its way from Breslau in Germany (now part of Poland and known as Wroclaw) to Walbrzych. The train was allegedly filled with guns, industrial equipment, gems, gold and other treasure. Some people think that the train is sealed in a hidden tunnel near Ksiaz Castle, outside of Walbrzych but there is no documentation to substantiate this theory. The treasure hunter team, led by Piotr Koper from Walbrzych, Poland, and Andreas Richter from Germany, have been looking for the train for over four years. The hunt for the train was stopped in December 2015 after a press conference in which it was announced by experts that there was no evidence of a train but has now resumed in earnest. A piece of railway track has been discovered in a new hole close to a power pole, as well as a horseshoe in another hole. One of the holes that was dug down to 15 meters has turned up empty, only more rock was found.